The long running relationship with Cardiff’s sister city Stuttgart has been a productive one with more than 30 years of youth exchange programmes. In the last couple of years Cardiff have hosted a number of groups that have included a school group who travelled to Cardiff from Stammheim and Stuttgart Youth Council in turn CYC have been hosted on a number of occasions. During these visit CYC became increasingly interested in German culture and the way they approached education and youth work. CYC received an invite from Micha Klamm of the Stuttgart Youth Service stating they would be welcome to come anytime. With this offer in mind CYC then highlighted some funds, sort authorisation from youth service management, choose representatives and organised the study visit. Micha Klamm, put together a programme which showed the visiting group a wide range of projects and a chance to meet with young people and workers to share their experiences. Here is our story . On a very brisk morning in Cardiff city centre we met at the steps of the National Museum for Wales’s, ready to embark on our journey. After loading the minibus and making sure everyone had their passports (David) and euros we set off in the DofE minibus to Gatwick Airport. After a very short 1 hour 20 min the plane descended, after a flight through the sunset, we hopped on the minibus and took a short journey (on the wrong side of the road!) to the international Youth Hostel. From the top of the hostel, looking out onto the city was magical, the city lights lit up the wonders of Stuttgart in an orange glow. Upon leaving the glass elevator, which took us down to the hostel, we were fed and had time to explore the hostel and our rooms. at this point all most of us wanted to do was to sleep after a long day. The next morning we headed off to the Rathaus for a tour and to meet Roland the lead worker for the Stuttgart Youth Council. Roland took us on a tour of the Rathaus and to various projects around the city that SYC had been involved in was very interesting, informative, and it taught us all about how their youth council works, its influence over decisions made throughout the city and their relation with the city mayor. Later that day, we got to visit the famous Stammheim Jugendhaus were we got to meet Chris, Daniel & Yannis. 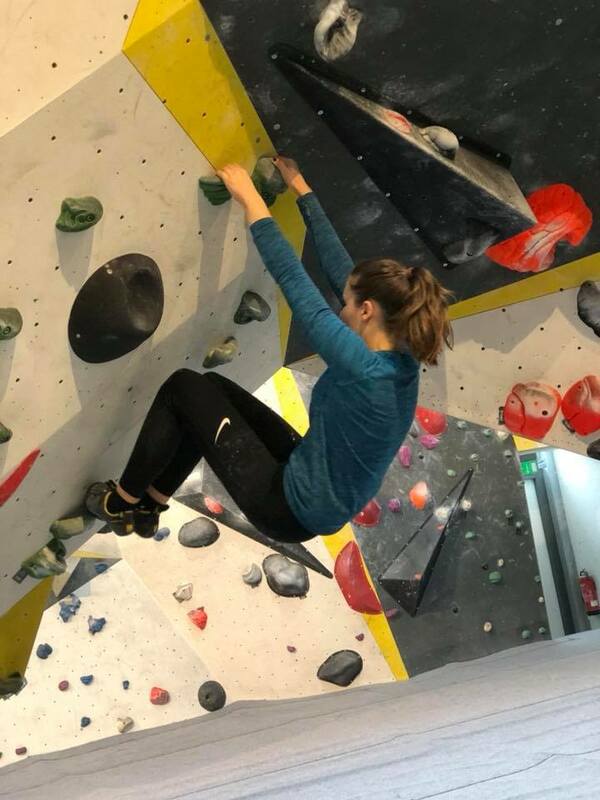 After meeting the staff we got to go climbing at Climbmax Climbing World, a well-regarded climbing centre which has held many competitions. 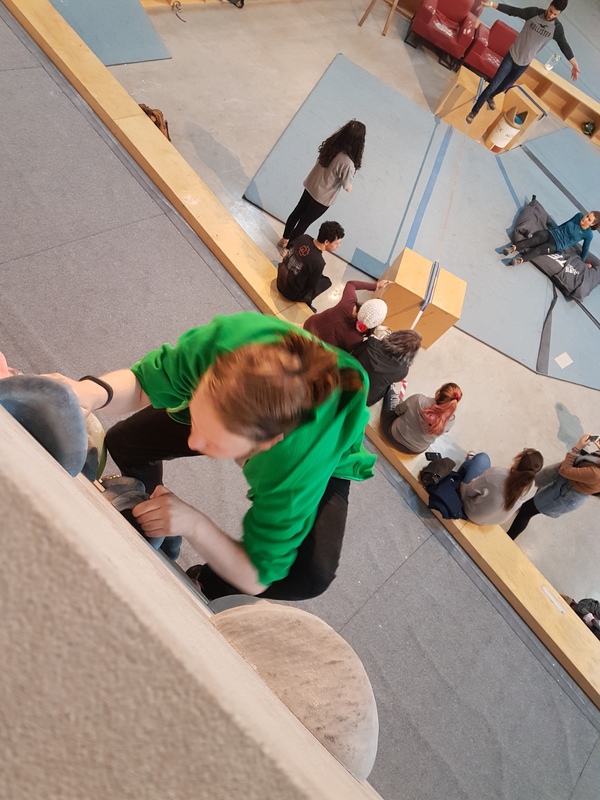 We also got to go back and visit Stammheim Jugendhaus where we interacted with local young people and engaged in several games such as; table-football, Ping-Pong and ‘Just Dance’ as well as have our evening meal. After a long day it was finally back to the Youth Hostel for a good nights sleep. Following a good nights rest,we where up nice and early on the Wednesday so that we could have a tour of and have a dialogue session with students at Grundschule Stammheim arranged by the school worker Fitch. It was great getting to meet with the children and for them the be able to practice their English speaking skills. They had so many questions for us, all about our country and our lives there. We taught them about our city and also taught them some Welsh.Many of us gained pen-pals during our visit to the school as many of them were enthusiastic to stay in touch. After visiting the school it was off to Jugendhaus Mitte for lunch, we had authentic traditional German foods which consisted of a buttery potato salad and Maultaschen. After lunch, we played a city game called ‘TipsnTrips’. This took around 2 hours and had us searching all around the city (a very unusual, fun and interactive way of sightseeing) for landmarks and their origins. In the evening we attended a reception at the Rathaus, at which we were honorable guests, and engaged in conversation with many of their young youth councils. Some of us exchanged details in order to stay in touch for when they visit us in July/August. We then played a few rounds of bowling which became very competitive very quickly and was very enjoyable. Botanical Gardens where we saw many animals there and took a ludicrous amount of photos, also spending time in the gift shop buying souvenirs for ourselves and loved ones. After many hours of ogling at the animals, it was off to be hosted by Das CANN Jugendhaus who prepared us a lovely curry, which was just what we needed after being out in the cold all morning. After lunch we popped in to the Skatehalle Stuttgart next door and a skateboarding lesson. Several of us struggled to pick up the confidence and skills needed to make the most of the skateboarding but a couple of us were very natural with balance and attempting tricks on the boards. Though it was difficult, it was very fun to try something new. In the afternoon, we visit the city state parliament and met Brigitte Losch, a Member of their Green Party who took us on a tour of the building, answered questions we had and fed us some pretzels and juice. That evening we were hosted by Jugendhaus Sillenbuch and their recently elected members of Stuttgart Youth Council. SYC members prepared us piazzas and we then spend the evening hanging out and find out about what it is like being a young person in our different cities and what were the proprieties in each other cities. On our last full day in Stuttgart we had some free time to explore the city centre and to buy souvenirs and also visit the main library, which was such extraordinary building which looks very bare upon first glance, but once you reach the top floor, it can be seen that within the blank white walls there are rows upon shelves upon columns of books spanning across several floors of the building. In the afternoon we once again met up with Chris at his centre Jugendtreff Sieben Morgen, which bizarrely is next to the famous Stammheim prison. Chris introduced us to OpenMike, a graffiti artist who gave us a lesson on how to draw in a graffiti style and worked along side us in developing and designing a large scale graffiti mural about our time in the lovely city across outside the youth centre. once the project was finished it looked pretty amazing. Openmike then gave us a demonstration of his other talent Rapping by spitting some lyrics – which sounded even more impressive in German. After saying our farewells to Chris and Openmike it was onto one more youth centre. This time Kirsten and her SYC members hosted us in Jugendhaus Nord, preparing a lovely meal and again getting time to have dialogue sessions with the recently appointed SYC member’s about some of the issues young people face in Stuttgart and what the priorities of the city were. Cardiff Youth Council would like to thank all the young people, staff and centers that made the exchange possible with special thanks to our wonderful friend Mr Michael Klamm from Stammheim Jugendhaus, who without this exchange would have not been possible. It was really inspiring to see how Stuttgart has invested in services for young people across the city, from the incredible centres that are used for a variety of activities within each community, to how the Youth Council is funded and supported. some key decision makers along the way. friendships and twinning arrangements between North Ely Youth Center and Stammheim Jugendhaus. We look forward to seeing some of the wonderful people we have met in a few months’ time.